Stuckey in Second: Are you Ready for December? Are you Ready for December? I have to admit that I'm really sad to not be in the classroom this year for December. 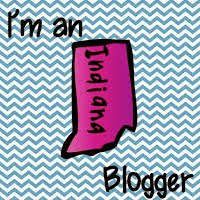 If you have been following me on Facebook, Instagram, or here, you probably saw a few of my posts about having an accident back at the end of September, and I'm still off work. I visited my surgeon last week and there is just still no end in sight for me. Six more weeks of no walking at this point. I noticed that here on my blog I had scheduled my GRINCH post to go live on December 1st (I scheduled it one year ago because after I did it last year, it was too late for people to USE it in 2014, so I wanted to make sure to post it again THIS December so people could see it and try it out!) Anyway, when I saw that was coming up and December 1st was so close, I got really sad that I won't be with my class this year to make sure it's a fun December for them. I've been reminded by some good friends that I can try to do some fun things with my kids at home and try to make up for it! 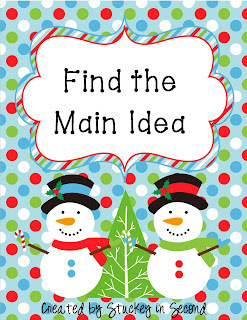 I'm planning to find some fun crafts we can do in December here at home. Well, enough about that, let's get to the fun December products that I have in my store! 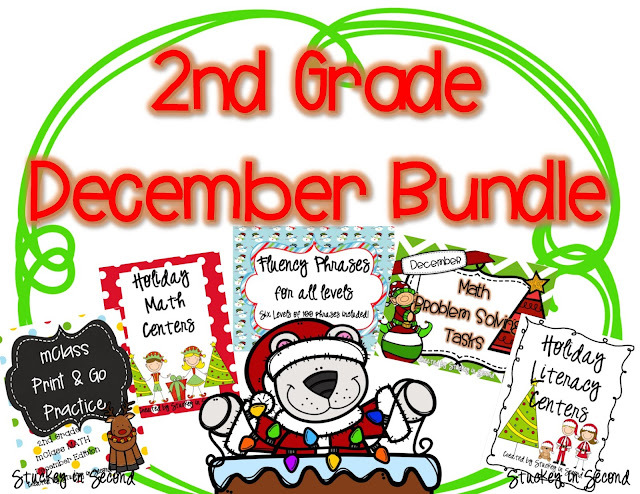 The best news is that I have bundled my most popular December items together this year, which give you a big savings if you purchase as a bundle! 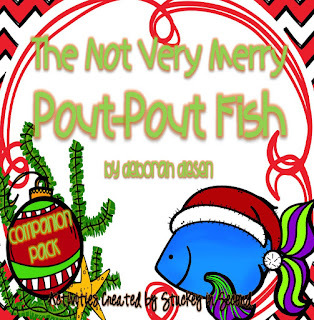 I also have a brand new item for the month of December that goes with the book, The Not Very Merry Pout Pout Fish. As soon as I saw it was out, I ordered it, and I loved it! So adorable! Then, I just knew that I'd want to some activities to go along with it. 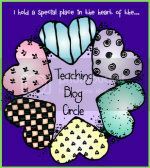 I created a companion pack with graphic organizers, a few writing response sheets, and a few hands-on centers. 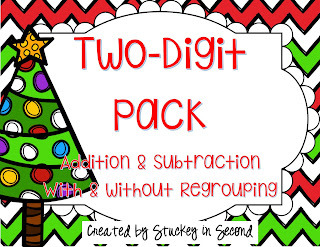 Click the picture below to see the finished product, but also click here to get the FREE sampler that I created to go along with it! If this is your first TPT sale, you have been missing out! Now is definitely the time to stock up on the products that you were on the fence about buying. Not trying to do a sales pitch here, but I'm just sharing my experience, as a buyer too! 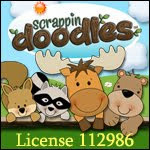 I buy PLENTY for my own classroom and of course great clipart and items to create more products. It's my favorite time of year. Here's the way that it works, MOST stores will have a 20% off sale. So the prices you see listed in their stores for these two days (Nov 30-Dec 1) will be the price. THEN, when you are ready to checkout, put in the TPT PROMO CODE and you will save an additional 10%...which is off of the already marked down products, so overall that works out to a total of 28% off!